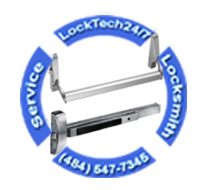 Business owners in Allentown PA appreciate the valued services of LockTech24/7 Locksmith. We’re serving businesses such as stores, offices, children gardens, trucking companies, and huge corporations buildings. As we pride our commercial locksmith services in Allentown PA, we support a ninety days warranty. This includes a warranty on our security hardware and labor. LockTech24/7 commercial locksmith in Allentown PA is a mobile commercial locksmith service. 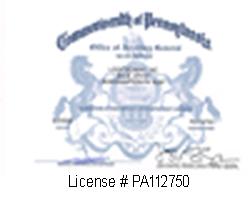 This means we arrive at your business wherever you’re located in the Lehigh Valley. With this in mind, we arrive in a fully equipped mobile locksmith shop to work on site. As usual, LockTech24/7 emergency commercial locksmith in Allentown PA is ready. We’re available to take your call, early morning or late at night. Our commercial locksmiths in Allentown PA would love to take the challenge to unlock your business. That is to say… no matter if you own a store, office building, or a huge trucking company! Unlock Office Door Allentown PA – Commercial lockout in general and office lockout, in particular, can be a risk on your business day. Instead, to put your business day in jeopardy, you can simply call LockTech24/7 in Allentown PA. We will arrive within 20 minutes! And we will unlock your commercial door in another few minutes. Please don’t hesitate to call us, day or night. Public Storage Lockout Allentown PA – There are so many public storage facilities around Allentown, most of them are UHaul public storage. We’re experts to public storage unit opening, and we’re available in a short time of notice. File Cabinet Lockout in Allentown PA – Many offices and businesses around Allentown, need help to unlock a file cabinet that the key was lost or broken apart. Some of the file cabinets are easy to take care, but some others are hard to deal with. We offer a full suite of file cabinet lock repair or replace service in Allentown and the surrounding area. Commercial Safe Lockout in Allentown PA – A commercial safe box in your business can be stored in a hard place to get or in general heavy-duty safe box. We can unlock almost any commercial safe box, register, or lockbox. A commercial lock is usually a heavy duty lock. When you come to a business building, you can feel the heavy doors surrounding the frame of the building. It is the lock that secured your assets in your business, and it is the locksmith who works on that lock. Let LockTech24/7 secure your business whether it is an office, a store, or a chain store such as Macdonald, AT&T, or Home Depot. Re-key Locks of an Office in Allentown PA – Locks re-key service for commercial facilities is a popular service, done by LockTech24/7. The reason is that; from time to time, employees quit or get fired. Call us now and re-key the locks of your business, hassle-free, and affordable prices. Repair Locks of a Business in Allentown PA – When a lock in your office is broken off and stop working properly, your business is in jeopardy. In this case, please call us as soon as possible to repair or replace that broken lock. Replace Storefront Lock or Office Lock in Allentown PA – Once in a while, you may need to replace a lock in your business out of malfunctioning. In time, a lock can break too, and need to be replaced. We are here to help whenever you need to replace a commercial lock in your business. Broken Commercial Key Extraction of Business in Allentown PA – You need to leave back home late at night, and you want to lock up your business door. Suddenly, the key snapped and break in the lock. This is a scenario that can happen at any time, either to you or one of your employees. If this happens to you, don’t panic. Simply call us and we would come to extract your broken key and fix your lock. Panic Bar Repair or Replace in Allentown PA – A panic bar is required on your business doors out of a fire safety code. This means, sometimes, you may need to maintain the push bars on your doors. With this in mind, we are experts of panic bar repair or replace. For this reason, don’t hesitate to call us any time you have an issue with a push bar in your front or back door. Access Control Installation in Allentown PA – Many businesses in Allentown PA has access control systems either on the front door or the back door. If you need to repair your access control or to install a new one, please call us for an estimate, we would love to help. Replacing Door Closures in Allentown PA – Almost every commercial door has a door closure arm at the top of the door. Some of the doors are heavily working during a business day, and are easy to break down. Pointing on these facts, we’re ready to replace any door closure to heavy duty hardware. Installing Buzzer System in Allentown PA – Perhaps, you know what is a buzzer system. We can easily install a buzzer system on your business front door. Our commercial locksmith experts in Allentown PA are ready for any security hardware in your business.